The next stop was Margaret River pioneer Cullen, where I was to meet with MD Vanya Cullen (pictured above). 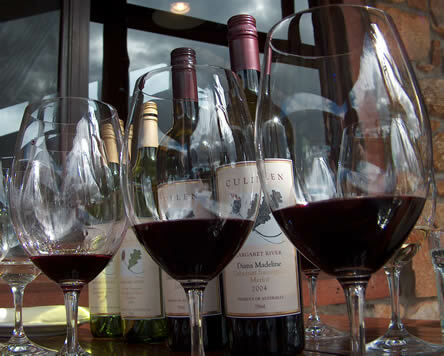 It was founded by Vanya’s parents, medical doctor Kevin Cullen and his wife Diana, who first planted a quarter of acre of vines at the current site in 1966, as an experiment. It was the publication in 1965 by Dr John Gladstones of a famous paper (J. Gladstones, ‘The climate and Soils of South Western Australia in Relation to Vinegrowing.’ Journal of Australian Institute of Agricultural Science, December 1965) which first led the Cullens to plant a trial quarter acre of vines in this previously unplanted area. This followed a public meeting convened by Kevin Cullen to bring together people with an interest in growing wine in the area for discussion. They were assisted by Bill Jamieson, the State Viticulturalist. Vanya showed me one of his letters, dated 13th July 1966, in which he gives advice on establishing this initial vineyard. Encouraged by this experiment, and the success of others such as Dr Tom Cullity of Vasse Felix, who was the first to establish a commercial vineyard in the region in 1967, the Cullens planted 7.7 hectares of Cabernet Sauvignon and Riesling on what is now the Cullen Vineyard in 1971. Other varieties were added in 1976, and then Sauvignon Blanc in 1988. Establishing a successful commercial vineyard was hard work. 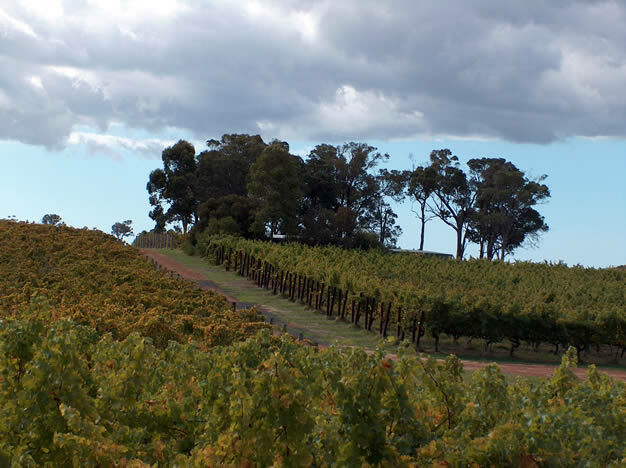 Kevin was busy with his medical practice in Busselton, which was needed to finance the vineyard. But as well as the vineyard and his medical practice, he had six children and a 2000 acre sheep and cattle farm to worry about. In 1976 the Cullens sold their Busselton home to raise capital, and it wasn’t until 1994, the year of Kevin’s death, that the vineyard broke even for the first time in 23 years. As well as being a Margaret River pioneer, Dr Kevin Cullen also established the famous Busselton Health Study (http://bsn.uwa.edu.au/), which is one of the longest running epidemiological studies anywhere, in 1966. Today, 10% of the sales of one of the Cullen wines is given to fund this study. There are two vineyards, Mangan and Cullen, and altogether 15 000 cases are produced. 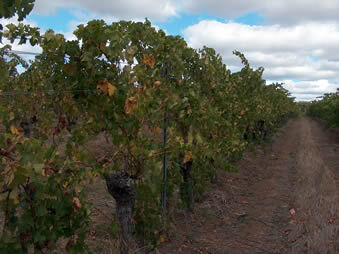 Recently, the focus at Cullen has been on improving the viticulture to make it more sustainable. ‘It’s all about the soils’, says Vanya, ‘so in 1998 we committed to organics’. Cullen began working with cover crops and composts, and in 2003 achieved organic certification with the biological farmers association. In the same year, Vanya went to a biodynamics workshop, and like what she heard. 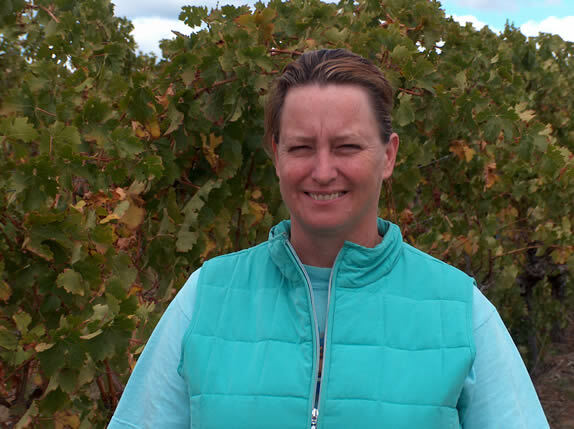 She decided that biodynamics was the way to go, and achieved certification in 2005 (again, with the Biological Farmers Association of Australia). How has biodynamics made a difference? ‘It’s a personal opinion’, says Vanya, ‘but I think we have a greater vibrancy of fruit flavours and more aliveness in the wine. We are trying to generate a sense of energy from the land into the bottle.’ A lot of biodynamic practice relies on the timing. ‘We are harvesting on fruit days as much as we can’, she adds. ‘This year we managed to achieve this with 90% of the harvest’. Has biodynamics cost anything to implement? ‘There are no extra costs involved’, Vanya reveals. ‘If anything it is cheaper because we don’t have chemicals in storage sheds’. She adds that in the last two years they haven’t needed to use any copper, the traditional biodynamic remedy for mildew. The low input approach has extended to the winery. We don’t add anything, says Vanya. There are no yeast or acid additions. We entered the winery and did some sampling, both of the recently completed 2007 vintage, and the trickier preceding vintage. Whether or not the vineyard practices are responsible, on the basis of this tasting Cullen seems to be on top of their game. The wines are brilliant. Two Sauvignon 2007 samples, one from Cullen and one from Mangan, were quite different but very good. 2006 Mangan Merlot/Malbec/Petit Verdot was rich, generous and full with nice elegant fruit. Smooth, dense, stylish and elegant. 2007 Chardonnay: lovely fruit and good acidity. Merlot 2007: Fantastic fresh cherry and blackcurrant fruit, with a bit of herbiness. Bright, spicy, fruity palate with some structure and a nice spicy finish. Quite serious. 2006 Cabernet Sauvignon: Vibrant, full-on black fruits with a savoury, spicy tannic structure. Chunky and very good. 2006 Merlot: lovely leafy, gravelly nose leads to a palate with good density and a savoury tightness. 2006 Malbec: dark coloured, wild and complex with a nice spiciness. 2007 Cabernet Sauvignon: dense and tannic with lots of fruit: spicy, gravelly and dense. We then lunched at the Cullen’s lovely restaurant, and tried some bottled wines.